The amendment is the second-such proposal to be ruled too “misleading” to be presented to voters. A Leon County judge ordered a proposed constitutional amendment that would expand victims' rights be thrown off the ballot Monday, in a legal fight that is expected to wind up before the state Supreme Court. 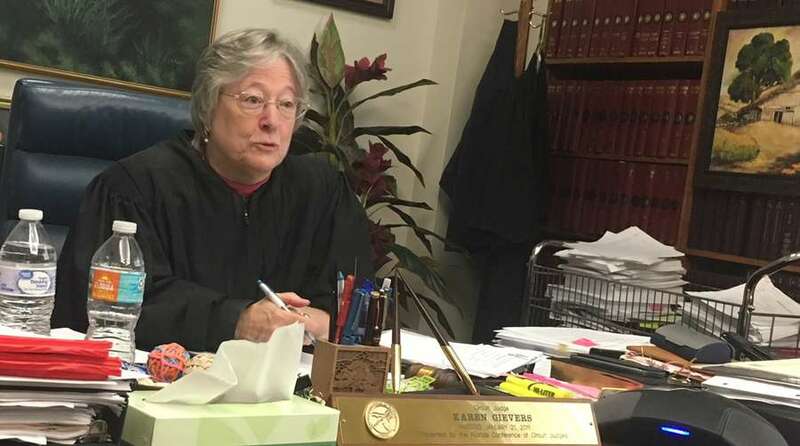 In an 11-page decision, Circuit Court Judge Karen Gievers sided with the arguments in two lawsuits that Amendment 6's proposed title and summary were incomplete and misrepresented their contents to voters. They contended that the proposed language failed to explain all the ways that victims' rights would be expanded by the amendment. The suits also argued that the ballot language didn't fully explain details of another ballot question that was "bundled" by the Constitution Revision Commission into Amendment 6. The title and summary of the amendment "do not meet the requirements of Florida laws … in fully, fairly and accurately telling voters the chief purpose of the proposed amendment," Gievers ruled in a joint decision addressing both lawsuits. 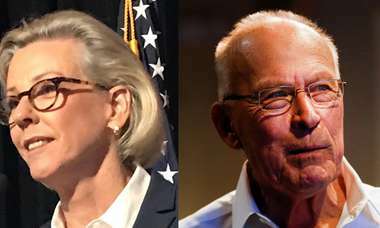 The language, she added, "does not meet [the] 'truth in packaging' requirement for submission to the voters and must be removed from the ballot." The amendment is the second-such proposal to be ruled too "misleading" to be presented to voters. Last week, another Leon County judge ordered that Amendment 8, which seeks to create a means for the state to bypass local school boards and oversee charter schools, be struck from the ballot as well. That case is now pending before the state Supreme Court. ▪ The "bill of rights" for victims, modeled after Marsy's Law in California, would add changes in several areas, including pre-trial release of defendants, restitution for victims and disclosure of information to victims. It drew support from major Republican and Democratic lawmakers but has also been criticized for potentially flooding the justice system with additional responsibilities. ▪ The second provision would increase the mandatory retirement age for judges to 75 from 70, effective July 1, 2019. ▪ The third provision would bar judges from deferring to administrative agencies' interpretations of a rule or statute when ruling in cases involving those laws. But the attorneys bringing both cases took issue with what they called "defective" language in the ballot title and summary, and argued it insufficiently captured the scope of what the amendment would do. "Amendment 6 does much, much more" than what the ballot language says, said attorney Mark Herron Friday. He argued that the measure also "restricts the constitutional rights of those accused of crimes" and said it would change language affecting the appeals process and the right to a speedy trial. 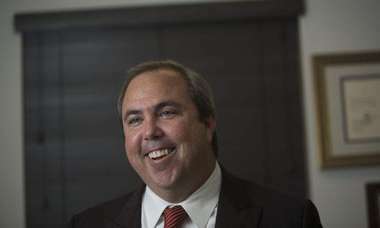 Herron represented two plaintiffs in one lawsuit — Lee Hollander, a Naples defense attorney, and the League of Women Voters. Harvey Sepler, who represented Amy Knowles, a resident of the Florida Keys, in the second case, also argued that the way the amendment looped multiple proposals together interfered with voters' ability to consider each proposal on its own. The state, however, argued that criminal defendants' rights would remain unaffected by the language, and that given the limits of the ballot, with only 75 words in the summary, the language fairly reflected the contents of the amendment. "The question really is if the ballot summary complies with the requirement … that the ballot proposal adequately explain the chief purpose of the measure," Karen Brodeen, a senior assistant attorney general, said in the hearing Friday. The language, she said, meets the legal standard of "fair notice." Brodeen also criticized Sepler's argument about bundling proposals together, noting in her arguments Friday that the state's "single-subject" rule on amendments applied only to those brought by citizen initiative, while these amendments were produced by the Constitution Revision Commission. "There really isn't any standard," she said. "There's nothing that this court could latch on to." Gievers did not address Knowles' argument about the bundling of the proposals in her ruling, though that "logrolling" is also the subject of another case that is pending before the state's highest court. That case, brought by retired state Supreme Court chief justice Harry Lee Anstead, asks the court to remove six of the Constitution Revision Commission's eight proposed constitutional amendments, arguing that the way they are bundled prevents voters from voting on specific proposals. The state is expected to appeal the decision — Gievers acknowledged Friday that her courtroom was likely just the "first stop" for the cases as they wind toward higher courts. But if the state Supreme Court takes up the cases, as it is expected to do, it must make a decision by Sept. 4 for election officials to print ballots in time for the November election.